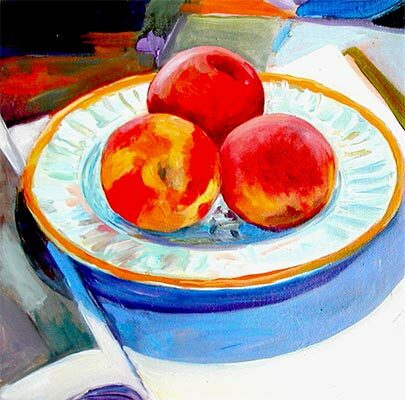 Plate Of Peaches. Oil on panel. 12 x 12 in.